Stay at L’Antica Fattoria and you’ll wake up among rows of vines and centuries-old olive trees. 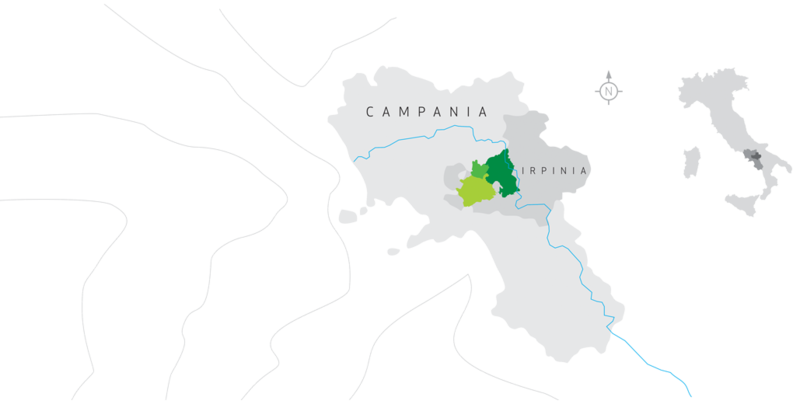 This is one of the great terroirs of viticulture in Irpinia, on the hills of the Calore Valley, 500 metres above sea level. 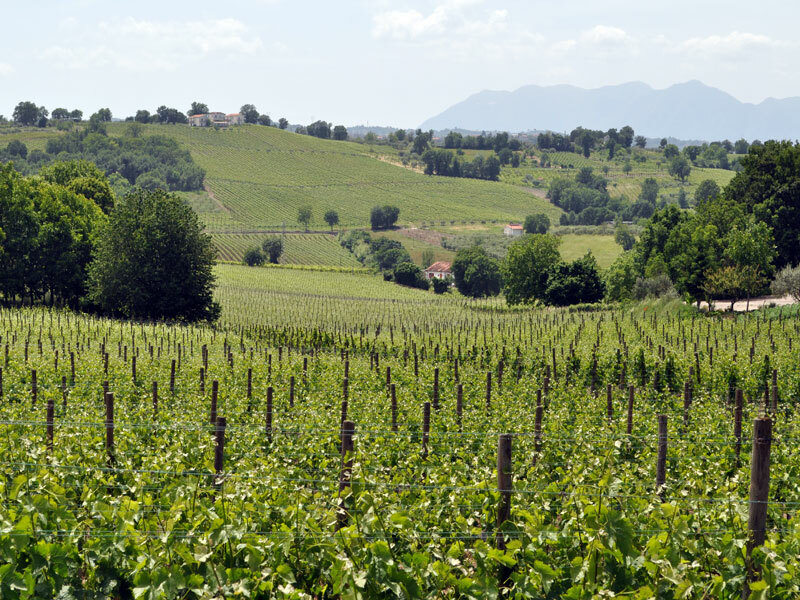 This is the heart of the Taurasi DOCG production area, in the municipality of Sant’Angelo all’Esca. 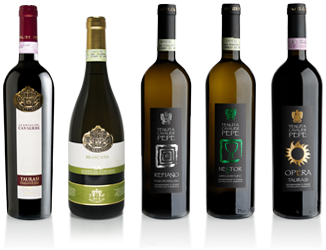 L’Antica Fattoria is part of Tenuta Cavalier Pepe, a modern and welcoming winery managed by Milena Pepe. L’Antica Fattoria consists of two independent apartments, bright and panoramic, and equipped with every comfort. The B&B is ideal for holidaymakers looking for peace and relaxation. Situated in a recently restored country house, L’Antica Fattoria immerses the visitor right into the vineyards of Irpinia. Its strategic position in this cult wine region makes L’Antica Fattoria a destination for food and wine tourism. 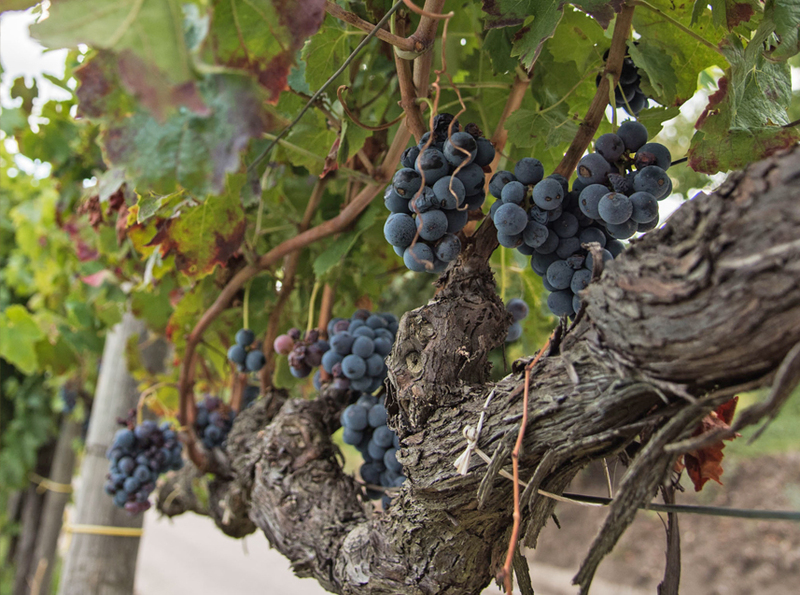 L’Antica Fattoria B&B is located 400 metres from the Tenuta Cavalier Pepe winery. It boasts a panoramic position on a hill 500 metres above sea level, surrounded on all sides by the estate’s vineyards and olive groves. There are two independent apartments with a total of 12 beds as well as two camp beds and a cot. The apartments are located on the ground floor and first floor. Each consists of two double rooms, one kitchen, one bathroom and one living room with a sofa bed. Rates given are per night with breakfast included. You can easily reach Tenuta Cavalier Pepe on foot, where you can enjoy a guided tour through the estate’s vineyards and olive grove. 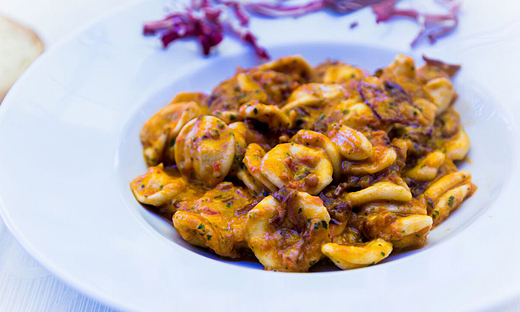 For lunch or dinner, the estate’s gastronomic restaurant, La Collina, is just 500 metres away. We recommend that you visit the village or Taurasi. Its historic centre including Castello Marchionale is 4.5 kilometres away. By car, you can visit the villages of Sant’Angelo all’Esca (2.5 kilometres away), Luogosano (1 kilometre away), Fontanarosa (4 kilometres away), Lapio (7.5 kilometres away) and the Archaeological Park of Mirabella Eclano is 8 kilometres away. Further afield, Salerno and the Amalfi Coast are 60 kilometres away, Naples and Pompeii are 80 kilometres away. The islands of Capri and Ischia, as well as the Royal Palace of Caserta and its park, are also reachable. 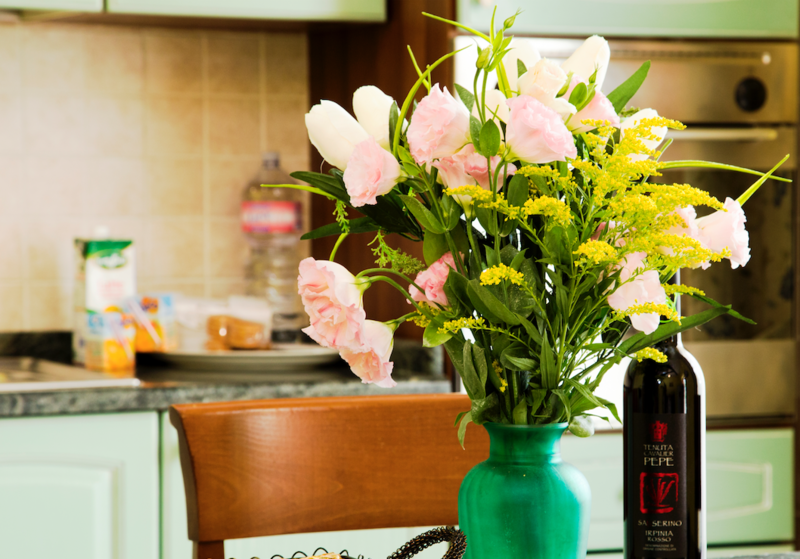 L’Antica Fattoria B&B is easily reachable via the Naples-Canosa motorway (A16). Exit at the toll booth of Grottaminarda, take the SS.90 in the direction of Fontanarosa and then follow the signs for Sant’Angelo all’Esca, 13 kilometres from the toll booth. Alternatively, exit at the Benevento tool booth and continue towards Foggia on the SS.7 up to the small town of Calore. From here, continue on the SP.52 for Taurasi towards Sant’Angelo all’Esca, 16 kilometres from the toll booth. You can alternatively exit at Avellino Est and continue on SS.7 Ofantina in the direction of Montella-Laceo-Lioni. Take the SP.ExSS.400 and the motorway link road to San Mango in the direction of Luogosano and then Sant’Angelo all’Esca, 26 kilometres from the exit.